I'm on something of a roll with the cards this weekend - four in a weekend is something of a record for me. I absolutely loved the technique used by Lizzie for this week's Make it Monday challenge. Firstly, it's easy and I love easy! Second, it has given me a way to use some of my Perfect Pearls powders which don't come out anywhere near as often as they should. And lastly, it's a great way to hide my rubbish blending skills! 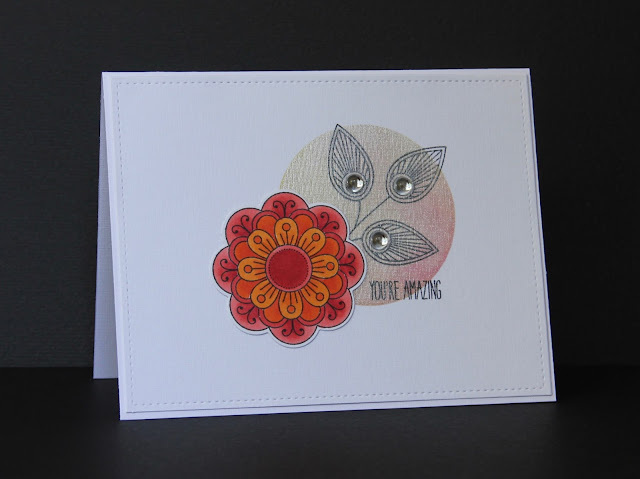 I used the technique to mask a pearlized circle, then added a Doodlie Do bloom, coloured with Copics (which were still lying around after my previous card). Instead of stamping and clear embossing on to the pearlized part, I stamped the leaves in black. In hindsight I probably should have used Stayzon as the ink would be clearer on the shiny surface I think. My Muse card yesterday gave me another idea for this week's CASology cue word - 'heart.' I stamped CAS-ual Fridays Mon Ami sentiment, but this time added a couple of hearts from PTI's Heart Prints. 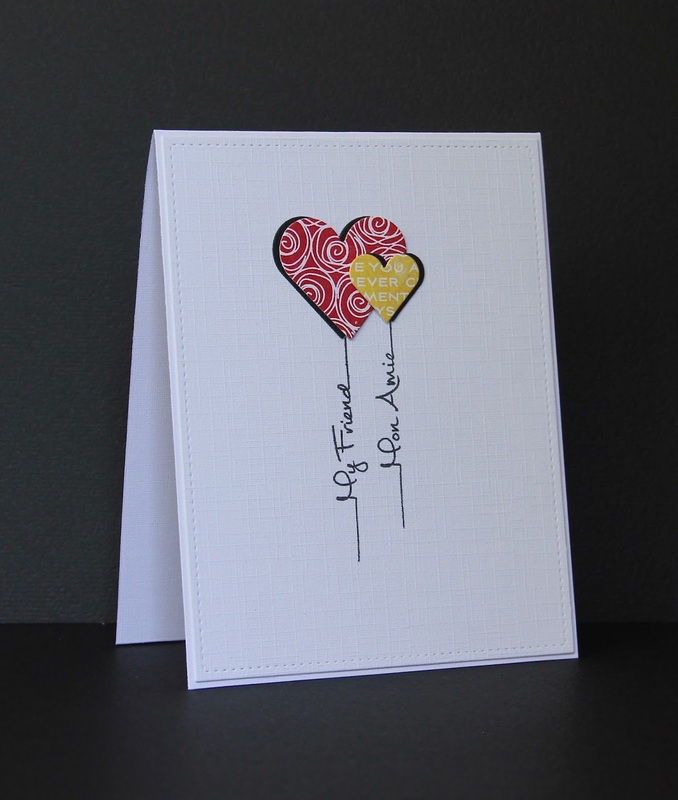 I then shadowed them using black heart die cuts which made them pop against the card stock. Another easy one but I really like how it turned out. That's it for now - I'm bracing myself for the arrival of a grumpy husband who woke up at 2am this morning to see Australia's World Cup Rugby dream destroyed by those pesky Kiwis! He will not be a happy man! Oh, I love your first card! Every time I think I don't need the Doodlie-Do stamp set, I see a card that makes me want to buy it. Seeing your card, I think I really "need" it now! 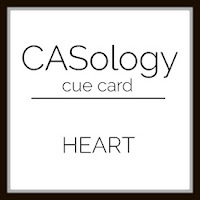 I like the layout of your heart card and your color choices. Love this card. Doodlie Do is one of my favorite stamp sets. TERRIFIC cards Claire!! Your flower looks great and I LOVE your sweet heart balloons!! Lucky for you, your team made it to the finals... so close for us, but maybe next time! Your card... well... all I can say I always find myself staring at the computer screen whenever I come here. You really create the most beautiful cards, with only a few elements, your creations demand attention. Brilliant! Love it! I love how you use that Doodlie Doo set Claire. You always make those flowers look so colorful! Like Hannelie says "I always find myself staring at the computer screen...you really create the most beautiful cards".